Ok, this is a very tiny patch since build 1.1.1, so we’ll not change the version number. In this patch, we fixed the bug that sometimes players cannot export ISOs or update ISOs to workshop in multiplayer. So we’ve had a couple of staff changes causing a delay of this release, mainly trying to find a mulitplayer programmer. Now that we’ve finally found one, we’re starting our updates again, sorry for the rather long delay. Hooray!!! #MyTimeAtPortia is available now on #NintendoSwitch, #PS4 and #Xbox One! Have you started yet? #MyTimeatPortia console release countdown. 2 more days and you can play My Time at Portia on #XboxOne, #PlayStation4, and #NintendoSwitch except PC!!! And that also means you'll only have 2 days to pre-order the housewarming gift set. Our new title will hit early access in 2019! The SBT is a third-person, multiplayer sports game, the gameplay is a mix of ‘Arms’, ‘Super Mario Kart’ and ‘Rocket League’, you can perceive this game as ‘Superheroes Playing Soccer’. The game simulates real-time physics and collisions, each hero has a unique ability that they can take advantage of during the game. Other than that, players can make good use of items that randomly appeared on the map to attack and defense. The game is aesthetically different compared to any other games we have previously worked on. In this game, we tried to convey a spirit of cyberpunk. This art style was actually inspired by Chongqing, which is the city that we based in. The SBT is our first online multiplayer game, as a result, we will still be releasing the game via early access. Our current plan is to launch the game in 2019, and will be posting regular updates about the game on our social media platforms. Re: Switch: Game crashes when attempting to harvest giant crops. In Planet Explorers, it is the year 2287, one of the first colony ships sent out by Earth arrives at the planet Maria, in the Epsilon Indi Star System. During its landing sequence, something appears in front of the massive ship that causes it to lose control and crash into the planet. Some of the colonists survive in lifeboats, but what they find is an unforgiving land filled with creatures ready to outlast the visitors from Earth. Now the survivors must explore, gather, build, create, fight, and ultimately, conquer the land. The gameplay will be in 3rd and 1st person perspectives. Players will be able to customize their character, combine and create weapons, vehicles, and buildings. At the same time, players will have to defeat multitudes of enemies of varying intelligence and defend the remnants of the colonists. There will also be a mission system that features NPCs giving the player goals to achieve to advance the storyline. The game will feature a single player story line as well as random single and multiplayer adventure maps. 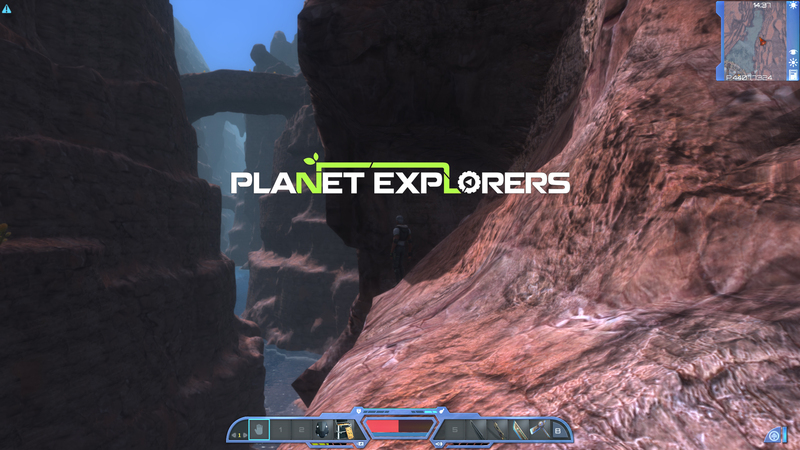 Multiplayer will feature prominently in Planet Explorers.